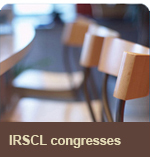 The 24th Biennial Congress of IRSCL will be held by The Swedish Institute for Children's Books, in collaboration with the Department of Culture, Languages and Media at Malmö University, the Department of Culture and Aesthetics at Stockholm University, and the Faculty of Arts, Psychology and Theology at Åbo Akademi University, Finland, Stockholm, Sweden, 14 - 18 August 2019. Children's literature tends to be seen as a liberating and empowering force in children's lives. At the same time, however, children's fictions can often be seen as implicated in a widespread and deeply rooted discourse of silence and silencing, which draws on the idea that "children should be seen but not heard." It can, for instance, be argued that the discursive silencing of children has been particularly influential in educational practices, even extending towards the regulation of "free" time and after-school activities. Children's fictions have been, and are still, implicated in this discourse (see e.g. Perry Nodelman; Deborah Thacker). If Orientalism is a discourse that silences non-Western perspectives, and patriarchy is a discourse that works towards the disempowerment and silencing of women, one can certainly maintain that children are othered, disenfranchised and muted in similar ways. Hence, in traditional didactic children's literature we can find many texts that either directly or indirectly advocate that children should be silent. But children's literature is not just a discursive practice for silencing children. It is also a tool for empowerment, a means of giving children a voice. Thus, texts that challenge the silent child ideal are also key to unpacking the theme. Moreover, silence can be linked to what is left unsaid and that which is explicitly censored. In other words, which subjects are tabooed and banned in children's fictions? We believe that the silences and lacunae within children's literature should be examined and voiced. Such an examination should also extend to reading practices, for it can be argued that reading itself may be an effective silencing strategy. A reading child causes no disturbance - an aspect of reading often overlooked and rarely critically examined. 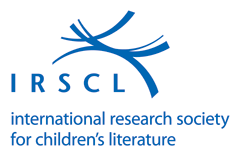 Ultimately, by interpreting the ways in which silence and silencing (alternatively "sound" and "voicing") work in children's fictions through representations and reading practices we hope to cause an "alarum" that will be noisily heard throughout the world of children's literature - and beyond! See full call for papers for further details. 2003 Kristiansand, Norway - Telling a World, Shaping a World.